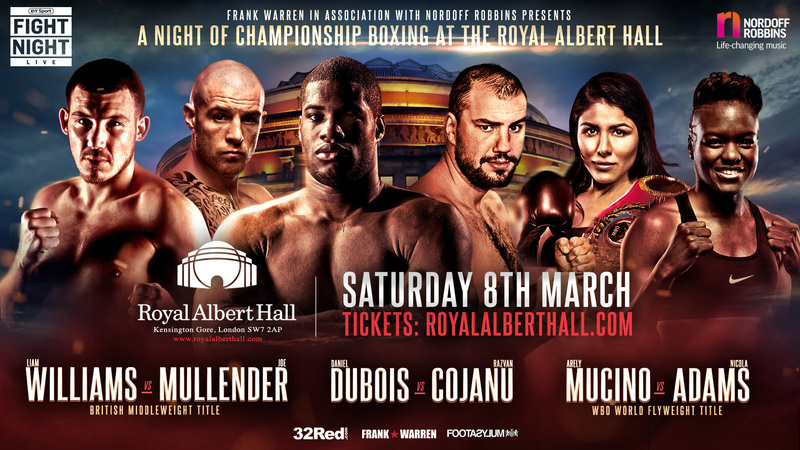 The 31-year-old former world title challenger extended Dubois’ domestic rival Nathan Gorman to the full 12 round distance in December, having originally been scheduled to fight the young Londoner a week previously before Dubois succumbed to illness. “The chance to fight at the Royal Albert Hall is a huge thrill for me and I really hope it is the first of many opportunities to perform there,” said the 21-year-old. “I am fully aware that many of the British heavyweight greats of the past fought at this historic venue and it will be an honour to follow in the footsteps of the likes of Henry Cooper, Frank Bruno and Lennox Lewis. “Winning a world title is what I got into professional boxing for and I believe it is my destiny to do so and ultimately unify the flyweight division,” stated the two-time Olympic gold medallist. “To get this opportunity after just five professional fights is an achievement in itself and I am so thankful to my promotional team for making it happen. “I think this has got all the makings of an exciting fight and you can see from his style that he always brings it and comes to have a good tear up, so I am looking forward to it,” commented the 19-2-1 Welshman. The Brentwood man, known as ‘Smokin Joe’ won the English title in an epic sequel against Lee Markham in June 2017. “For me it is all about the British title and I will fight anyone,” insisted the hugely popular 32-year-old. I respect Liam as a fighter, he has done what he’s done and is levels above me on paper, but I don’t really care who I fight, to be honest.